Your timing to get into the fitness business could not be better. In the 40-some years of modern fitness, there’s never been a better time to be a fitness professional. The small training-only gyms are starting to do numbers now that we only dreamed of not too many years ago. We have training gyms in 6,000 square feet doing $1.6 million. We have our first generation of the larger training clubs in the 12,000-14,000-square-foot category doing $3 million a year. Your timing to get in the business could not have been better. Most of you are very passionate, but the sad part is that many of you are totally inept when it comes to understanding how money works. I’m assuming if you’re reading this, you’re passionate enough. You’re ready to go. You have what it takes. What you probably don’t have is the mastery of the basic business skills to build a training business. Most of you don’t dream big enough. You don’t let go. If you want to open your own training gym, do it. Don’t let anything hold you back. You can go do this. Most people limit their progress because they’re not willing to commit to anything big enough. 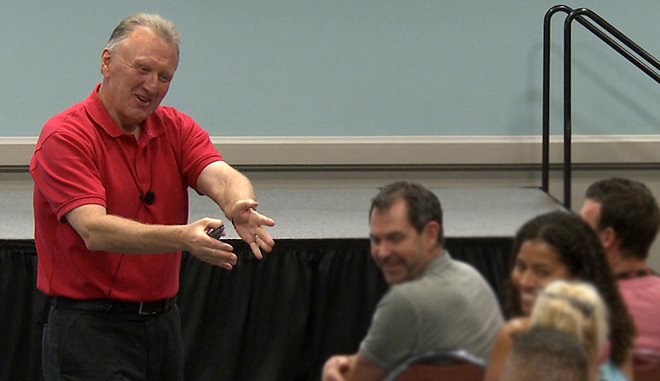 When most trainers start thinking about getting in the business, you think about how cool it is to train people. 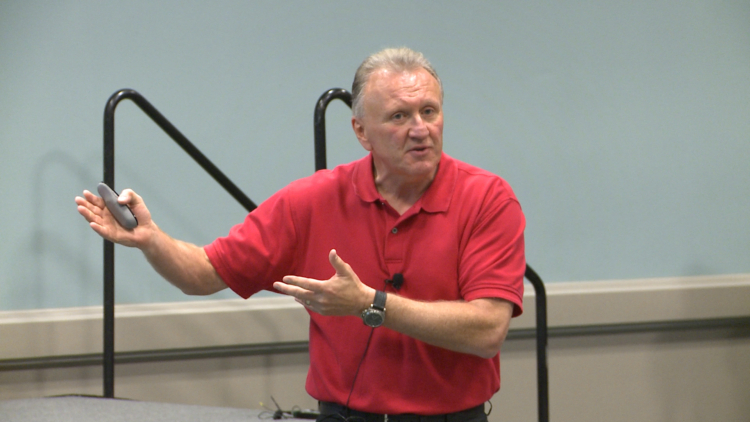 At some point in your career, you’re going to get really tired of sweaty people. You’re just going to be done with them. Eventually, you have to move ahead. Your goal might be to do as Gray Cook does, as Alwyn Cosgrove does, as Dan John does, and as Mike Boyle does: You start training trainers. You start to create the next generation, run a business dependent on your team, and most importantly, dependent on your personal belief system. The biggest gift you can transfer to people is what you believe and what you’ve accumulated over time. The most ineffective way to make a living is training one-on-one. That will kill you and burn you out in about eight years, which is the national average. There is no future in one-on-one training. There’s no longevity. There’s no money in one-on-one training. Your future is to create a system that allows you to train the biggest number of people with your philosophy using your team. There are six reasons why one-on-one training stinks. One problem is you become the product. You can only work so many hours. Sooner or later, you have to go home. It’s not an effective way to do a training business and it’s a burnout way. One-on-one has immense limitations. One-on-one training is going to top out at about 35-40 hours a week and you’re done. The nature of one-on-one training by itself is you can only have so many “touches” a week. The longer you train one-on-one, the worse you become as a trainer. You don’t get better over time as a trainer one-on-one. You actually start to lose your skills because eventually you just don’t care anymore. Your bag of tricks becomes limited. If you’re helping rebuilding somebody, you’re doing some movement analysis and you’re trying to figure out why they can’t function, one-on-one is cool, but after that, put them in piles. We have about 50 good human energy hours a week. You may work 100 hours, but you have 50 good ones. Now, you can be in your gym 60 hours a week, but you’re dead at 50. Your brain is about done. Fifty is the limit. Now how about this one: Stay longer, pay less. If there were one single stupid thing we do in fitness training, it’s this. I’ll start training for $75, but because I can’t sell it at that, I’ll do a five-pack at $50 or I’ll do a ten-pack at $40. If you want to kill your credibility, kill your training model and kill any belief system your clients have, do that system. The problem when you discount is you just cut your integrity. However, this has been the essence of what we’ve done for generations of training. You should sell no sessions and no packages—none. Do you really believe in what you do? Then, why do you sell it one week at a time? You believe in the lifelong journey, but you will not let people go on the full journey with you. There’s a disconnect because what you believe is not what you’re selling. One-on-one training is not the foundation of our business. It’s what we do for the select few who are willing to pay for personal coaching. They will not get the best results. They may be training for something specific. They may have injuries they’ve just recovered from, but they should not be the biggest part of your business. However, if they are, charge them a whole lot and give them everything. It’s 7 o’clock in the morning. How many of you have already been up for three hours? How many of you started out saying, “I’m going to train in the morning. I’ll take a couple of hours off in the afternoon and go take a nap. I’ll come back and then finish my clients. I’ll be home by 9 o’clock.” How many of you have lied to yourself and told yourself that story? You started compressing things, and now you have an hour to stand up and eat something out of Tupperware. You went from the idea of controlling your life to the clients controlling your life. What does your career mean? What’s your personal exit strategy? How many years will you train and that’s enough? What criteria have you set for the next 15 years? You have to think about longevity, sustainability, the exit plan, what this business means, where it ends and how it transfers. Knowing all these things and what that exit strategy is, what does your career mean? When does your career end? What’s the value of your career or your business? Why do you want a business? What’s it going to translate into for wealth? What’s it going to translate into for an exit strategy? How’s it going to enhance your life and everybody else’s life around it? This is a good time to get in the gym business, but you have to think of it as a business. It has to be a vehicle to get somewhere else in your life, either to create wealth, an escape plan or to stabilize your family, but when you do this, keep in mind what you’re trying to accomplish. We change lives. We do the right thing in this business. We have the ability to touch a lot of people. By creating the right vehicle, it allows you to live your dream and also make a lot of money doing it. There are a lot of ways to do the training business wrong. There are only a few really good ways to do these well. Good business applies to all of these. Be careful when you get into this business. Follow your dream. Don’t be afraid of it. Take the risk, but when you do it, make sure you do it right—do it the best you can. You can watch the preview clips to learn more from Thom, or purchase the video to study the full lecture session. Thomas Plummer, founder of the National Fitness Business Alliance, shows you how turn your passion for fitness into a business that will support and reward you financially. Thomas will show you what you need to know if you are thinking of start a fitness business, and what to do if you already have a fitness business that isn’t making the money you need and want it to make. 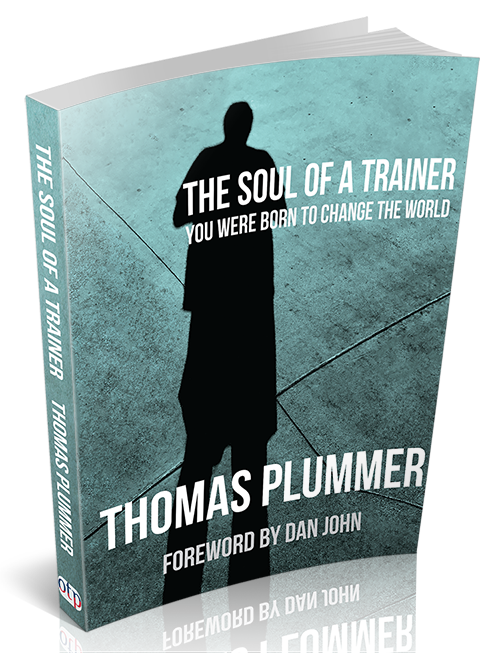 In The Soul of a Trainer, Thomas Plummer shares his hard-earned insights not only about the fitness business, but also about a life well lived. Order today and get Thom’s favorite book as a free add-on.